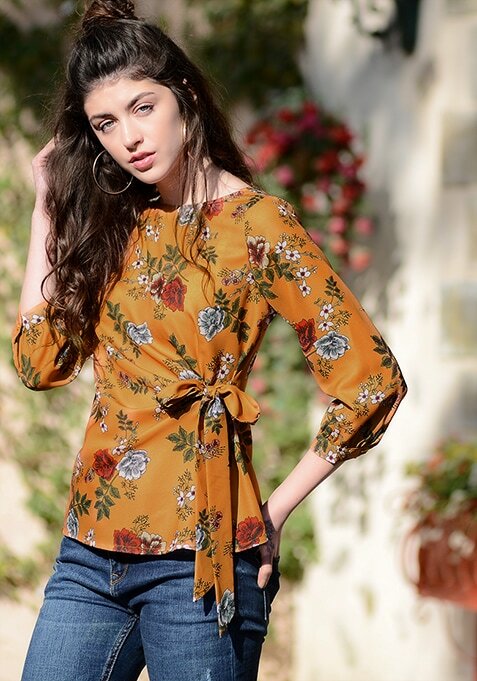 Make him have heart eyes for you as you turn up on that dinner date in this flirty floral top. Specially tailored to hug your silhouette very gracefully, this top is the perfect way to make an effortless fashion statement. Work It: Try this top with flared bottoms and chunky heels.